It's Wednesday, again. I swear it comes around every week. 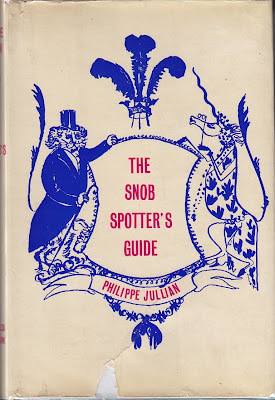 Here's a truly engaging spot of "etiquette" from none other than Philippe Jullian, collector, painter, illustrator, art historian, biographer, novelist, aesthete, and dandy. Clearly he knows a thing or two about etiquette. In the late 50's he wrote a satire published in France as Dictionnaire du Snobisme. In 1958, it was publish in English as The Snob-Spotter’s Guide. 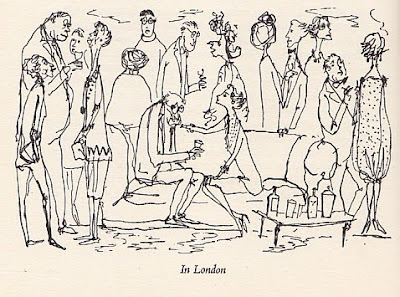 It has drawing by Jullian as well as posts by friends including Cecil Beaton and Salvador Dali. As a bonus, it is my favorite -- an abecedary. 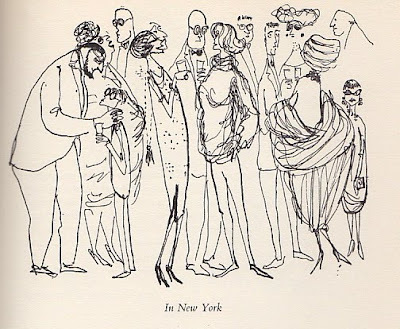 New York has snobbery but no society. 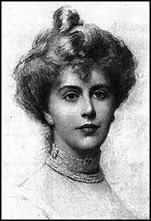 Etiquette is the barrier which society draws around itself as a protection against offences the "law" cannot touch -- a shield against the intrusion of the impertinent, the improper, and the vulgar -- a guard against those obtuse persons who, having neither talent nor delicacy, would be continually thrusting themselves into the society of men to whom their presence might (from the difference of feeling and habit) be offensive, and even insupportable. Food and Drink Snobbery is as old as civilization. It has squandered immense fortunes, produced terrible indigestion, nightmares and, at the worst, high doctors' bills and even death. No American will admit to having been born there. 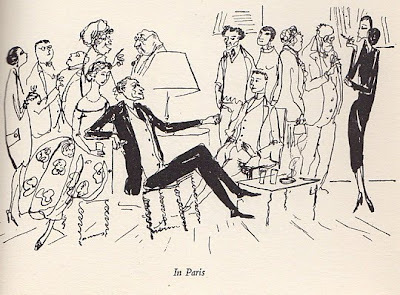 The use of the second person singular or Tu was rare in French society, but is more usual today because a number of foreigners did not understand its rarity.